A former Georgia deputy has been acquitted in federal court of lying to a judge in connection with a drug raid last year that left a toddler critically injured. 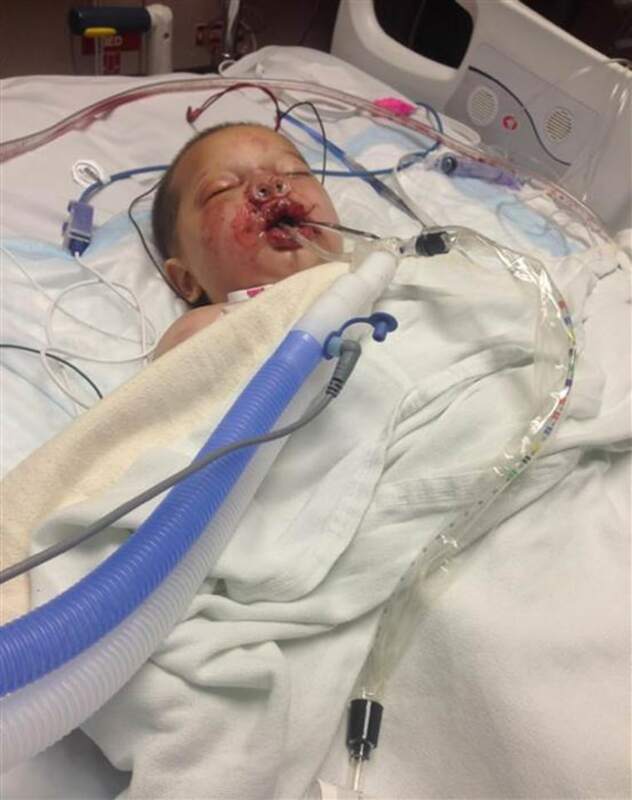 The case of then-19-month-old Bounkham Phonesavanh — known as "Baby Bou Bou"— drew intense criticism from the American Civil Liberties Union, which described the raid as a stark example of "systemic police militarization." Authorities were serving a late-night "no-knock" warrant on May 28, 2014, at a home where they believed Bou Bou's father's nephew, a suspected meth dealer, was staying when they lobbed a flash-bang grenade inside. The nephew wasn't home, and the grenade — designed to disorient its target — landed in Bou Bou's crib. Bou Bou was placed in a medically induced coma. His mother, Alecia, wrote in Salon that the grenade covered his body in burns and ripped "a hole in his chest that exposes his ribs." In July of this year, a federal grand jury indicted the undercover Habersham County deputy who secured the no-knock warrant, Nikki Autry, alleging that she provided false information to gain entry to the home where the Phonesavanhs were staying. The informant who she claimed purchased meth there never did, the indictment states, and Autry never "confirmed" that there was heavy drug traffic at the home, as she also claimed to have done. That false information, the indictment states, led to the "bodily injury" that still requires extensive surgery, Alecia Phonesavanh said at a news conference Friday. The verdict Friday came after a weeklong trial. Outside the courtroom, Autry told NBC station WXIA of Atlanta that she "never intentionally lied to a judge." "I was doing my job," she said. "What happened we all, of course, feel horrible about with Bou Bou, but that was never intended, and I never thought that would happen." But the family's lawyer, Mawuli Davis, said the evidence was "crystal clear" that Autry lied. The jury, he said, "got it absolutely wrong."